You wouldn’t think that joining a community youth sports league could be all that expensive especially if you are looking at soccer, touch football, or even tennis or little league baseball. No doubt there is a registration fee (which may or may not include the cost of a basic uniform), but what about the cost for shorts, gloves, pads, helmets, racquets and so forth. Let’s not forget the cost of transportation to and from practice and games each week, or the extra fees for travels sports. There’s even the cost for special camps, private lessons, and even the cost for a mental game coach when things don’t go according to the athlete’s performance plan or the expectations of the parents. 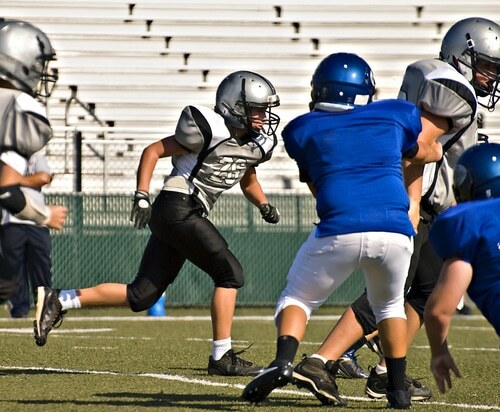 All of a sudden enrolling your kid in a sporting activity becomes a financial commitment. And what happens if you have two or three kids all participating or wanting to become part of an organized sporting activity? All too often parents have to say, sorry but we simply can’t afford it. 1. Admission fees for a sports team $200-$300 or more. 2. Personal coach – 5 sessions (baseball) $350 or more. 5. Golf Tournament Registration Fees $75 – $200. 7. Hockey equipment $1,000 or more for a set. It’s not just about the team registration fee, but when you add in the cost to suit up a baseball player, plus travel costs, and tournament fees you could be looking at upwards of $1700-$2000. Now take this example to a greater extreme and suit up a young hockey player each year. It becomes very expensive. It was for this reason why I decided to start the Protex Sports Foundation. The rising cost of youth sports has made it more and more difficult for middle class and financially challenged parents to give their children the opportunity to participate in sports. With programs being cut at the school level and with childhood obesity becoming an even bigger problem year after year, it’s absolutely critical kids get exercise at a minimum. Over the past 5-10 years I have seen more and more parents unable to give their children the chance to play sports because they cannot afford to do so. There is now a way to make it happen. It’s important to mention there is a likely relationship between the cost and the level of competition matching your child’s ability. The cost of competing goes up exponentially the higher the level of competition and travel ball. The big shock comes in when your 12 year old son who keeps his spikes shined and his bag packed the day before the big game decides he wants to make a run at making a high powered team. There are plenty of ways to cut corners and save money, but that does not change the fact that it is still a big investment. This is one really good reason to support The Protex Sports Foundation, or recommend someone who is in need. If you would like to learn more about how The Protex Sports Foundation can help you keep the dream alive for your kids please reach out to and write John at jre@protexsportsfoundation.org. No Replies to "Affording the Cost of Youth Sports"